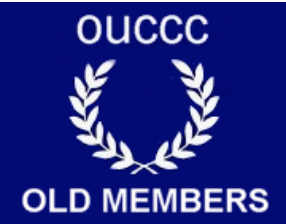 The club is open to all old members of OUCCC, so if you would like to be added to our membership database a received the bi-annual newsletter, please e-mail Simon Molden at mail@ouccc-oldmembers.co.uk. Perhaps the most important of the club’s aims is supporting the current OUCCC generation and for this reason, our fundraising role is vital. In 2006, we made our first donation to the club with £5,000 going towards the resurfacing of the Roger Bannister Track at Iffley Road. Since then, we have made a number of donations which have helped to subsidise the cost of the pre-season training camp and contributed to the travel expenses of the club’s coach amongst other things. Our fund is based on contributions from old members, most of whom donate a small amount (about £2-£3) on a monthly basis. Our account is administered by the University’s Development Office and, therefore, we are able to benefit from Gift Aid relief on all donations. All of the money raised goes back to OUCCC – none of it is used for the administration of the club. There is no subscription for joining the Old Gits, but we would very much welcome any donations from old members who wish to join. Details and forms can be found here. The club also provides a means for old OUCCC members to stay in touch with the club and each other long after they have gone down and, by so doing, encourages as many old members as possible to come along to support the current generation in the ‘Varsity Match in December and run in the Old Blues’ Race, which is held over the ladies’ course before the two main races. There is now a trophy for the individual winner of the race. This trophy was originally won by the 1990 OUCCC team at the Cric Relays in Paris. In addition, the current OUCCC Captain and Alumni Rep are included on the committee.